The first historical information about the dairy technology in Sardinia dates back to the end of the eighteenth century. 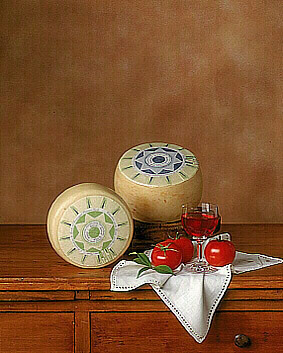 At that time, the cheese produced by row or warm milk were called white, red or smoked cheese; among them, the red and the smoked ones are today considered by experts Pecorino Sardo cheese’ ” progenitors”. 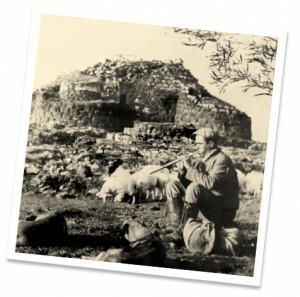 Pecorino Sardo cheese has become the symbol of Sardinia, not only in Italy, but also all over the world, due to its strong and ancient cultural roots linked to its tradition and centuries-old experience; for this reason, it has obtained several and relevant designations in Italy and abroad. On November 4th 1991, by Decree of the President of the Council of Minister, Pecorino Sardo cheese has been included in the list of products which have been identified by the Designation of Origin seal; on July 1996, by means of EEC Regulation n.1263/96, it has been awarded to the Protected Designation of Origin. In this way, the protection of designation has been extended at European Level, so rendering Pecorino Sardo cheese a unique and inimitable product, strongly linked to its geographical area of origin. The Protect Designation of Origin refers to the cheese with the peculiar characteristics listed below. 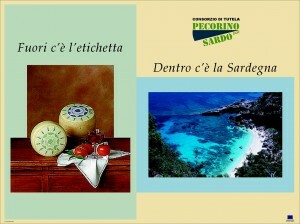 Both Pecorino Sardo cheese varieties – Pecorino Sardo dolce and Pecorino Sardo maturo – belong to the same area of production and seasoning – i.e. Sardinia -. Pecorino Sardo cheese is made with whole milk of ewes exclusively reared in Sardinia. It is an excellent table cheese, and the mature variety is also very good to be grated. Pecorino Sardo Dolce – Mild Pecorino Sardo cheese – completes its seasoning in a lapse of time going from 20 to 60 days. It is in the shape of a cylinder, with flat surfaces and a straight or slightly convex whole circumference. Its weight is not higher than 2,5 Kgs. With its thin and white or pale yellow surface, it has a delicate, aromatic or slightly acidulous taste and a white, soft, compact texture with sparse small holes. 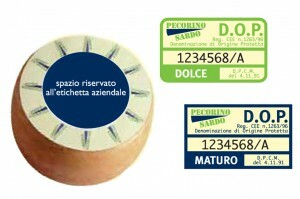 Pecorino Sardo Maturo – Mature Pecorino Sardo cheese – undergoes a longer seasoning period – at least four months – and needs special premises which have to be equipped with instruments for controlling temperature and humidity. Its weight varies from 3 to 4 Kgs. It is in the shape of a cylinder, with flat surface and straight whole circumference, having a smooth and strong surface. When long-seasoned, its colour tends to dark brown. It has a sharp and pleasantly spicy taste. The texture, which may be white or slightly straw-coloured, is hard and compact with sparse holes. Both Pecorino Sardo Dolce and Pecorino Sardo Maturo – Mild and Mature Pecorino Sardo cheese respectively – offer very high nutritional and energetic values. Only once the product has passed very severe quality controls will be called Pecorino Sardo cheese. In order to provide the means for its unmistakable identification, the Consortium has devised a particular labelling system, made up of producer company label and the numbered Consortium mark. Producers may maintain the name of their companies on the label, and this certainly has a strong commercial impact. It is possible to put the numbered Consortium mark without overlapping the Company mark that is impressed in the centre of the label. Two different types of Consortium marks are issued by the Consortium itself in order to guarantee that the quality standards are met. The green mark stands for mild Pecorino Sardo cheese , the blu mark for the mature one. The quality and the origin of Pecorino Sardo cheese have been guaranteed by the Protection Consortium since July 2nd 1996. The roles and aims of the Consortium, which is made up exclusively of dairy industries operating in Sardinia, consist in protecting, promoting, enhancing the product , providing consumer information, and overseeing the interests pertaining to the denomination of the Pecorino Sardo cheese both in Italy and abroad.